Dr. Allison Gandre treats a wide range of conditions from allergies and immune dysfunction to hormone imbalance and digestive disorders. She has a special emphasis in resolving pain conditions using neural prolotherapy and nutritional protocols. Dr. Gandre also has advanced training in IV nutrient therapy, a useful treatment for cancer, heavy metal toxicity, immune dysfunction, gastrointestinal disorders and chronic fatigue. Dr. Allison offers complementary cancer care including high dose vitamin C IVs. The high dose vitamin C IVs are currently administered according to the protocol outlined by the University of Kansas Hospital. Dr. Allison received her pre-medical science degree in Nutrition from the University of Texas in Austin, TX, with additional coursework in exercise physiology, human performance research and advanced sports nutrition. Dr. Allison received her doctorate from Bastyr University, an internationally renowned integrative naturopathic medical school in Seattle, WA. 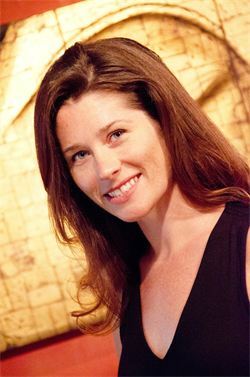 Dr. Allison Gandre is a member of the American Association of Naturopathic Physicians, the Hawaii Society for Naturopathic Physicians, the California Association of Naturopathic Physicians, the Oncology Association of Naturopathic Physicians and the Endocrinology Association of Naturopathic Physicians. © 2017 Hawaii Natural Healing Center. All Rights Reserved.